What happens as soon as I enrol? You can enrol online at anytime, 365 days a year. Alternatively, please call 1300 737 781. Once enrolled, you can access TalentHub (your virtual campus) immediately where you can view and participate in student forums, publications and resources. Your course login details will usually be issued within 1-2 business days for fee-for-service students and 2-5 business days for government funded students. Am I eligible for a Student Loan? Study Loans is Australia’s first dedicated private student loan provider. They offer competitive interest rates, flexible payment schedules and funds are disbursed as you progress through your course. For more information and to check if you’re eligible please visit – Study Loans. Is TalentMed a Registered Training Organisation? TalentMed is a Registered Training Organisation (RTO) with the Australian Skills and Quality Authority (ASQA) and has been since 2008. ASQA is the national regulator for Australia’s vocational education and training sector and regulates training providers to ensure nationally approved quality standards are met. 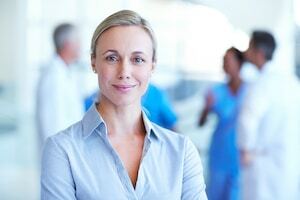 Qualified Trainers and Assessors with decades of experience in the Healthcare industry. These trainers have professional experience in both vocational education, healthcare documentation and practice management, making them uniquely qualified to answer questions about both the curriculum and the industry. Student Support Advisers who provide valuable information and assistance with any issues during your coursework. The course may be delivered online, but you’re never in it alone! Technical Support Advisers who are dedicated to solving your technical enquiries. Our technical support team is available five days a week should you require any technical assistance without delay. Graduate Advisers who help you develop your career plans in an individual consultation and assist you in your job search after you graduate. Our Graduate Advisers offer training, tips, and personalised advice on your job hunt. I live in a rural area, will I be able to do your course? As the course is available entirely online, there should be no impediment to you doing the course from a rural location. In fact, as long as you have a computer and an internet connection handy, the course can be conducted from any location around the world. Have another question? Request information today to find out more or please call 1300 737 781.